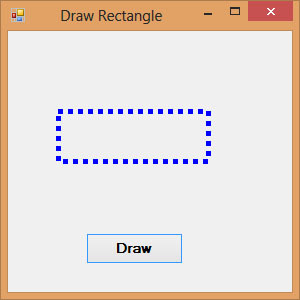 There are two methods to draw a rectangle on the screen in VB2010. 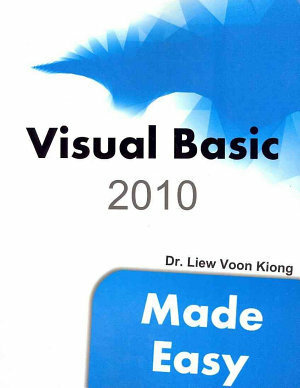 *myGraphics is the variable name of the Graphics object and myPen is the variable name of the Pen object created by you. X, Y is the coordinate of the upper left corner of the rectangle. Where the last argument Dot specifies a particular line DashStyle value, a line that makes up of dots here. In addition, other DashStyles values are Dash, DashDot, DashDotDot and Solid.The following code draws a rectangle with the blue dotted line. If you change the DashStyle value to DashDotDot, you can draw rectangles with different border, as shown in Figure 22.2.